The Greek philosopher Epicurus believed that many great things are sought and achieved through the pursuit of pleasure in its purest form. This formed the basis of his philosophy of Epicureanism. 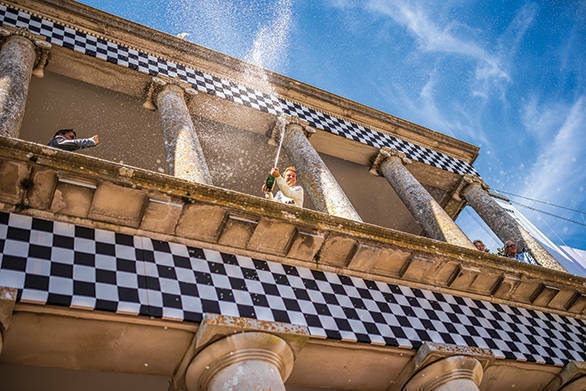 Several centuries later, one man's pursuit of automotive pleasure got him to create one of the world's most extraordinary automotive summer garden parties  the Goodwood Festival of Speed. 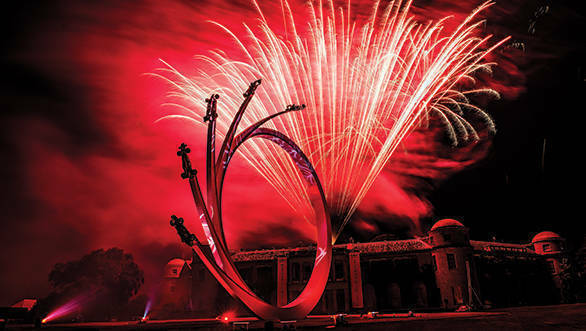 Held every year since 1993 in the Duke of Richmond's estate, in the quaint county of West Sussex, in the south of England  the Goodwood grounds become home to a spectacle like none other. 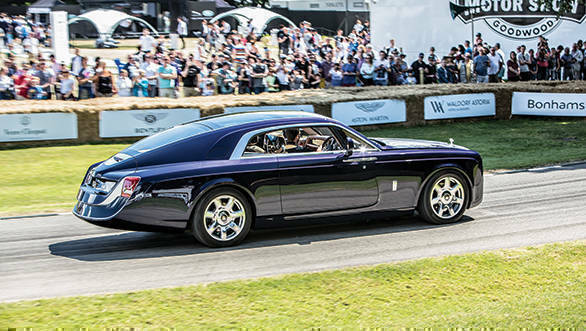 It is an affair worthy of the automotive gods that walk the earth and their almighty machines, and in its 25th year running, the attendance was capped to 150,000. It was my third time at the Festival and each time has been rather special. But here are five highlights that made the FOS 2017 the most memorable one so far. 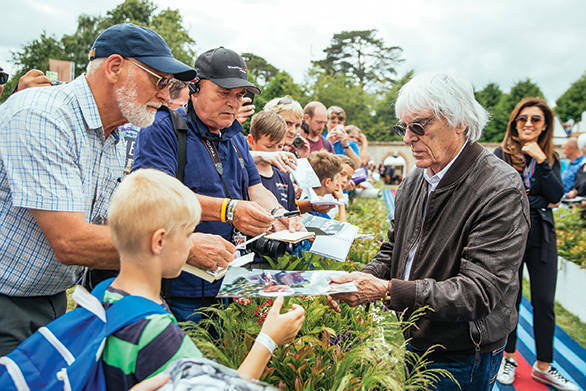 This year's Goodwood Festival of Speed celebrated Bernie Ecclestone, the (erstwhile) F1 Supremo, and his contribution to the world of Formula 1 over the past few decades. 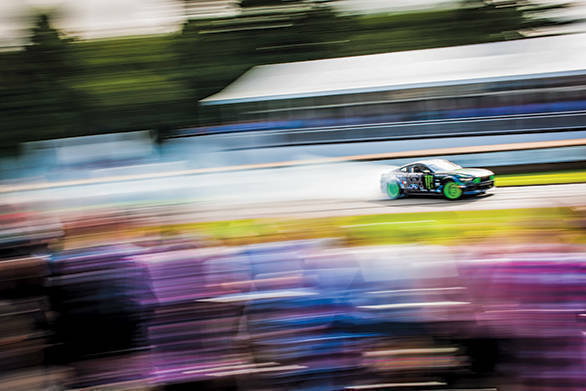 The five stages of Bernie's career - racer, manager, team owner, impresario and legend - were represented by five cars on this year's trademark Goodwood centerpiece. From the Connaught he raced himself, to his 1971 championship-winning Brabham. Gerry Judah's masterpiece called 'The Five Ages of Ecclestone' also featured three other title-winning cars: Jochen Rindt's 1970 Lotus 82, Michael Schumacher's F2001, and the final car to win the championship in Bernie's last year as the custodian of Formula 1  Nico Rosberg's Mercedes F1 W07. Lord March called Bernie and his Brabham team onto the Goodwood House balcony where Mark Webber failed miserably, but hilariously, to try and get something provocative out of the 87-year old. In addition to the celebration of Ecclestone, the larger theme of the FOS 2017 was dubbed 'Peaks of Performance  Motorsport's Game changers': From the turbocharged Formula 1 monsters of the 1980s to the notorious Group B rally legends, to Can-Am and European championship figments of folklore. 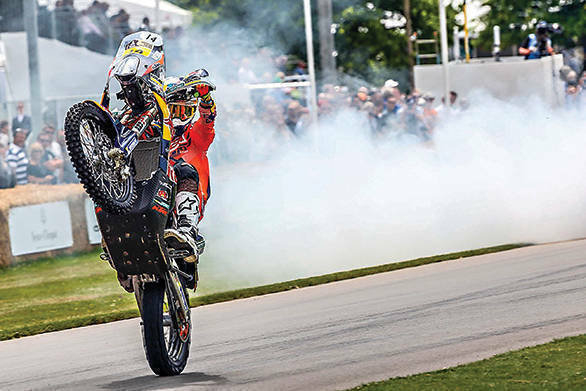 Even motorcycle enthusiasts were left gaping at the iconic 2-stroke 500cc grand prix motorcycles, the current crop of 200PS MotoGP machines, Isle of Man TT and World Superbike winners. 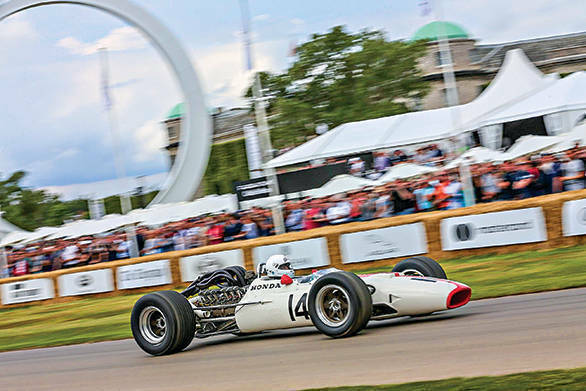 Bernie wasn't the only man to be felicitated as the late great John Surtees - the only man to ever win world championships on both two and four wheels - lived on at the Goodwood Festival of Speed 2017. 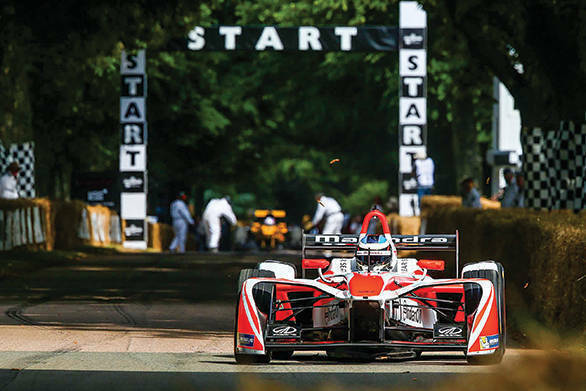 Surtees' championship-winning cars and motorcycles were paraded across the Goodwood hill climb piloted by modern-day motorsport personalities. 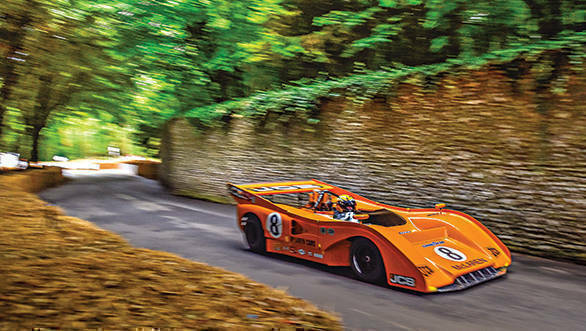 Even the legends of Formula 1 design Gordon Murray and Adrian Newey took to the hill climb. Nico Rosberg, the outgoing F1 World Champion, and Valtteri Bottas, the man who replaced Rosberg at Mercedes, both took to the climb in the 2018 Mercedes Formula 1 car. 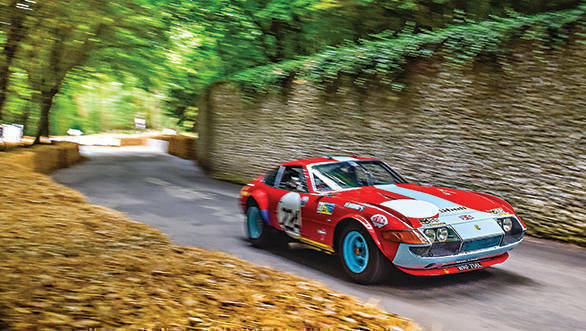 Every year we tend to feel that what started off as a celebratory hill climb for enthusiasts is becoming more and more like an international motor show, where manufacturers flex their muscles. Not that we're complaining at all! This year too had manufacturers bring some of their exclusive creations to the Festival of Speed. 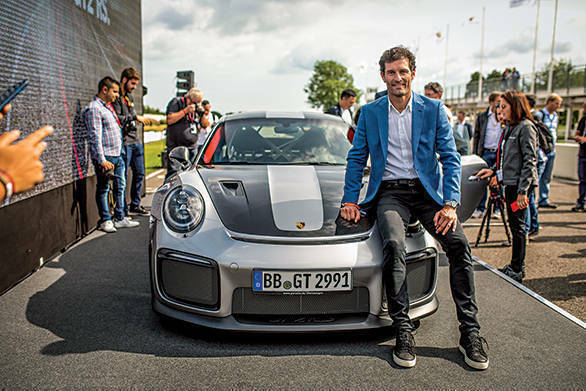 In fact, this year Porsche decided to premiere the most powerful 911 ever built  the 911 GT2 RS at the FOS. Sportscars were shedding their roofs in celebration of the English summer with the 2017 Audi R8 V10 Plus Spyder and the McLaren 570S Spider  both convertible versions of this year's brilliant supercars. Jaguar decided to take it up a notch by showcasing their limited-to-300-units XE SV Project 8  one of the most potent cars to come from their stable, of which there have been quite a few lately. oh this could take a while. If production cars weren't enough, manufacturers also brought along their concepts such as the BMW 8 Series Concept and the Audi Q8 Sport concept. The world's most exclusive car brand Rolls-Royce unleashed another example of its even more exclusive sub-brand 'the Black Badge' with the Dawn convertible. 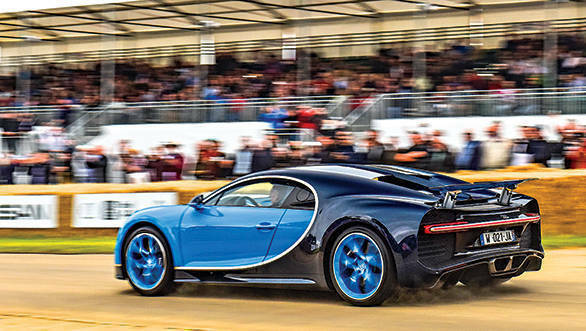 Meanwhile, the world's fastest production car, the replacement for the kingpin Veyron - the Chiron - glided past gasps of the awestruck spectators. This is almost getting to sound a bit commonplace! The 1.16-mile hill-climb circuit isn't just for the exhibition cars to parade around with drivers waving at the crowds. 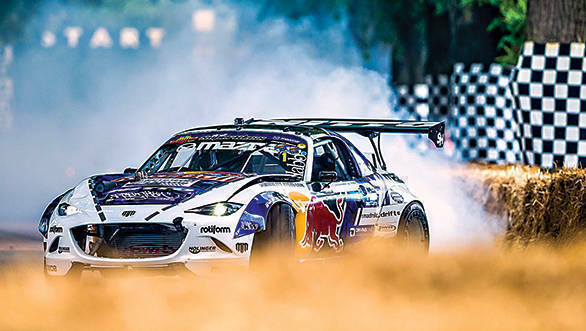 There is some very serious racing that takes place as well with motorsport machines, production cars and even purpose-built hill-climb machines trying to post the least time. Amongst the production supercars that took part in the shootout, this year the 2017 Audi R8 incredibly beat the Nissan GT-R and the Porsche 911 Turbo to take the coveted title of king of the Goodwood Hill. In the smaller racecars for the road category, the BAC Mono fended off challenges from the Caterham 620R and the Radical RXC Turbo. The overall honours were taken by a Jaguar XJR-12D Prototype which posted a time 0.09 seconds faster than the second-placed Penske-Chevrolet IndyCar. There was a bit of celebration for the tricolour as well, with Mahindra Racing's Nick Heidfeld claiming the eRecord at the hill climb in next season's M4Electro. The action isn't limited to the ground at the Goodwood Festival of Speed, as the flying daredevils the RAF Red Arrows acrobatically take to the skies in their BAE Systems Hawk T1s and dazzle the crowds who are forced to divert their attention towards the dancing steaks of Red, White and Blue in the skies. The aircraft gymnastics then make way for the physics-defying Euro Typhoon fighter jet that drowns out the sound of even the V10 Formula 1 cars. If like me, you're silly enough to only spend a day at the FOS, you're sure to miss out on so much more. The stunt drivers and riders who smoke up the air and fill it with that reminiscent smell of a racetrack, Dakar trucks charging through, vintage and classic machines that have lasted over a century, über-expensive auctions like Bonhams where cars like the Mercedes 300SL Roadster with a hardtop and the 1973 Porsche 911 RS Lightweight went for over £1.7million  there's something for every car nut. 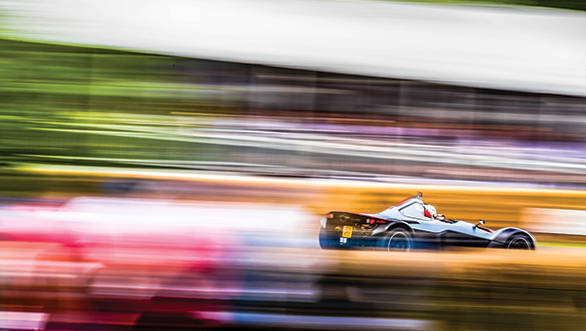 In fact, if the automobile moves even a small part within you, the Goodwood FOS is likely to become an annual life choice. Reckon I'll see you there next year.